The original antenna that was on the car wasn't in the best condition anymore and couldn't even be pulled out anymore. Besides, I didn't even really like to look of that long wobbly antenna on the roof of the car. Now, there are several alternatives for this, but I wanted something that fitted the car. 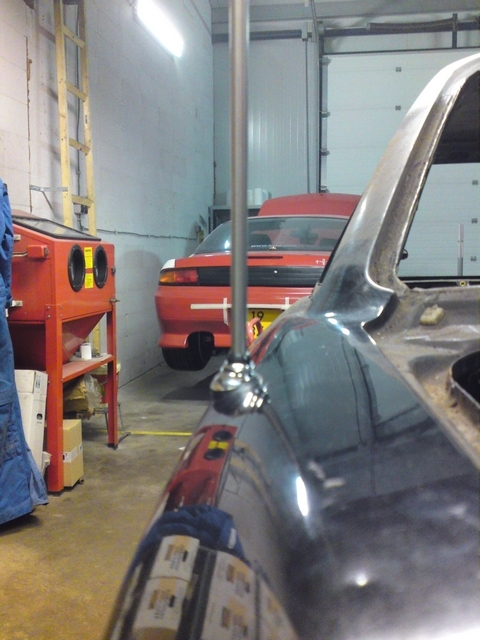 So when I was driving behind my brothers MR2 and saw his automatic antenna extend, I suddenly realized that would be perfect for my car too! A lot of sporty Toyota from that era had automatic extending antenna's. MR2's, Celica's, Supra's all had them and it looks very '80's! So why wouldn't I fit such an antenna to my car. It would look a whole lot classier than that pathetic piece of steel wire sticking out the roof. 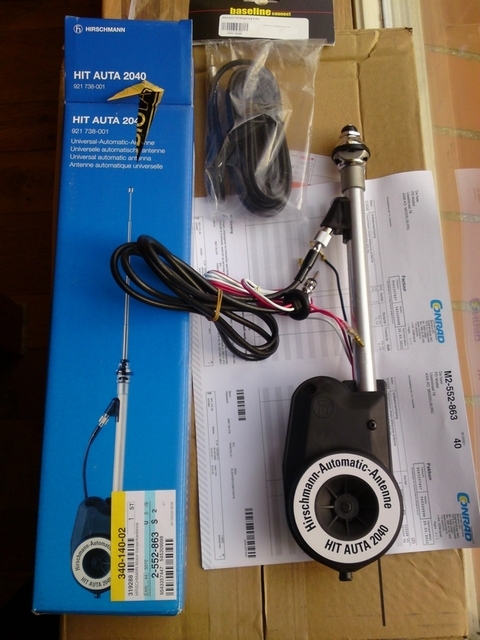 In a web shop I found a nice universal, automatic antenna that could be fitted to any car for a nice price. It was a Hirschmann antenna and that is a common name for a product like this. 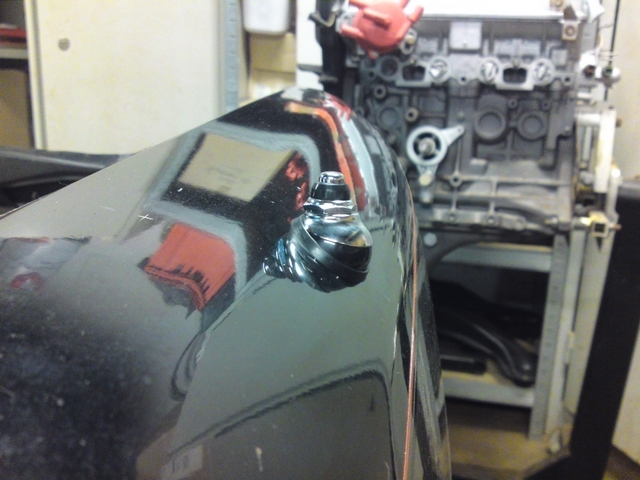 It was fitted to BMW's and Mercedes's from the factory and is well known for it's quality. Al I had to do now is fit it to the car. It came with clear instructions on how to install it to any car, but I had to work out where I wanted it to go on the car. Most Toyota's had them installed on the rear quarter panel on the drivers side. And after looking if it was possible on the inside of the car, it was only logical to install the antenna there. 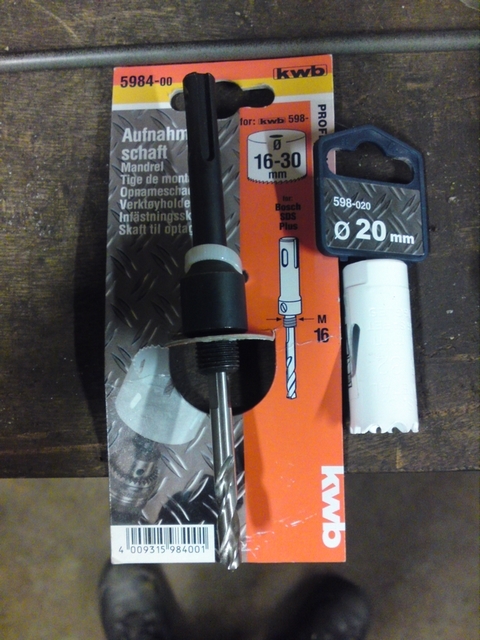 So I bought a special drill to make a hole in the right diameter to stick it through. That would make a substantial hole in the body of the car so I preferred it to be right the first time. There are not much reference point on that part of the body to measure from so it was hard to determine the exact spot I had to drill. So I measured out where the antenna had to go, and measured it twice and then measured one last time to be absolutely sure I would drill a large hole in the right place. Installing the antenna itself was pretty straight forward and didn't take long. 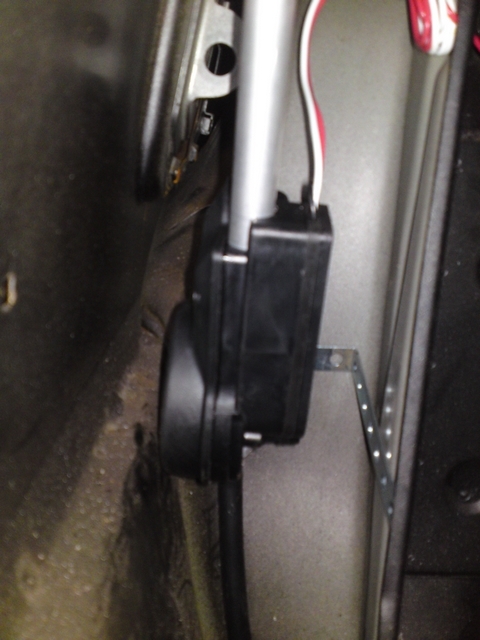 It came supplied with a bracket to bolt the antenna securely in place. It was a perfect fit for a side wall of the boot of the car and I'll bolt that down later on when I get around to the boot. 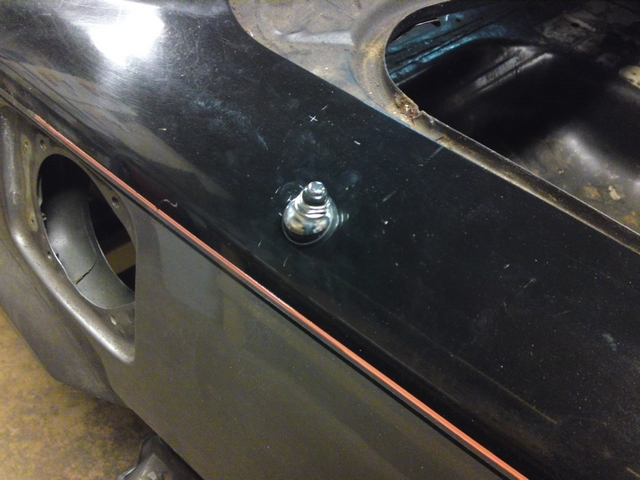 There is still lot's of room for the wiring to be installed and to run a few wired down the sill to the front of the car. The antenna reacts to the remote out connection of the radio and will automatically extend when the radio is powered on. When the radio is turned off, the antenna will automatically retract. Fully retracted the antenna looks very clean and fully extended it is a tad long, but it will definitely have a clear reception. It looks longer in the pictures than it is in real life, but I'm very pleased with it. It works really well and looks like it should always have been there. 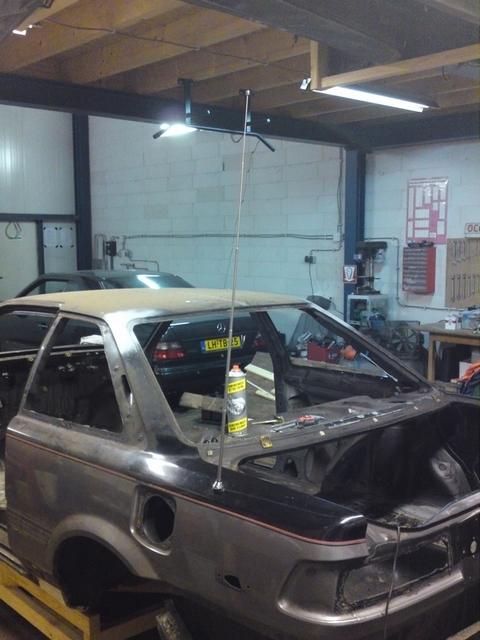 The hole in the roof for the original antenna will be welded shut so nobody will ever know it was there.